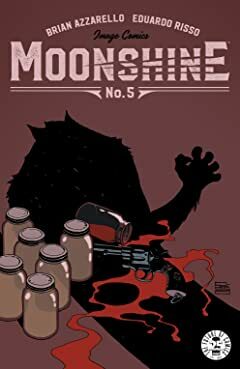 Set during Prohibition, and deep in the backwoods of Appalachia, MOONSHINE #1 tells the story of Lou Pirlo, a city-slick "torpedo" sent from New York City to negotiate a deal with the best moonshiner in West Virginia, one Hiram Holt. 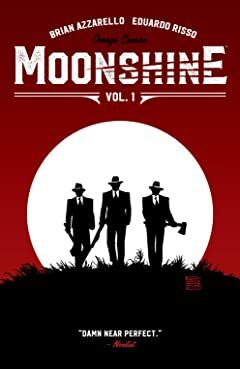 What Lou doesn't figure on is that Holt is just as cunning and ruthless as any NYC crime boss. 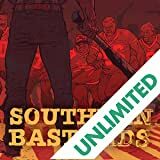 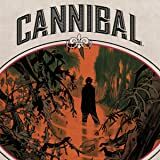 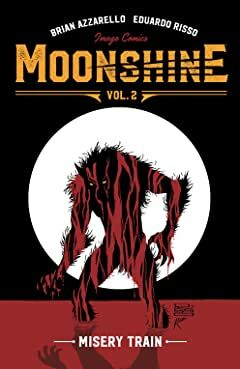 Because not only will Holt do anything to protect his illicit booze operation, he'll stop at nothing to protect a much darker family secret...a bloody, supernatural secret that must never see the light of day... or better still, the light of the full moon. 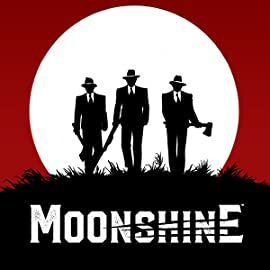 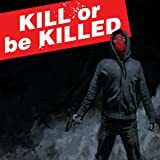 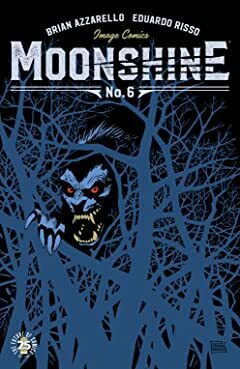 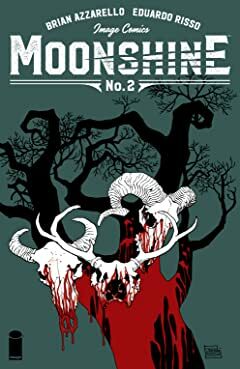 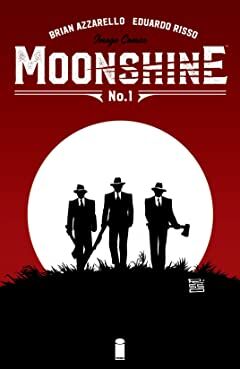 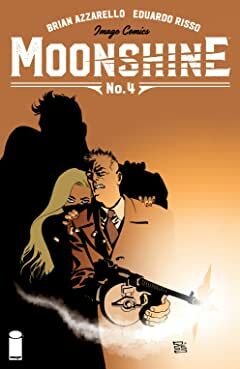 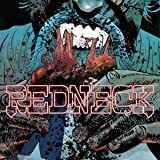 MOONSHINE #1 marks the first time AZZARELLO and RISSO have worked together for Image Comics and reunites the Eisner Award winning creative team that defined modern crime comics with 100 Bullets... and now puts a horror-twist on a classic gangster tale. 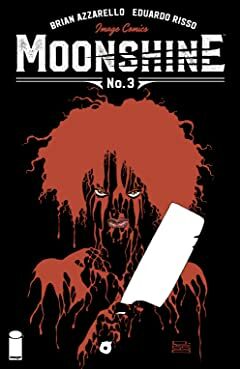 Issue #1 features a variant cover by legendary comics creator, Frank Miller!